I'm not much of a Tron fan but I guess a lot of you out there are, so I'm posting this for you. 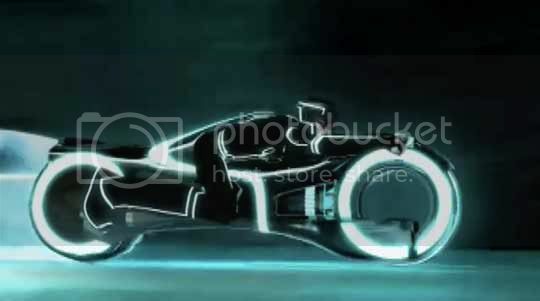 I guess Disney wants to get more money out of the Tron franchise and decided to make some kind of prequel to Tron: Legacy. The animation looks ok as it is and as expected given that it came from Disney but I would have rather had a studio like Madhouse do the animation and character designs to it. Not that they're perfect I just think a more serious approach to the characters would do it a little more justice seeing as it's centered around a rebellion inside the grid. You can see the full trailer after the break and I was in the mood to look for the plot so I also have it posted after the break. Beck, a young program who becomes the unlikely leader of a revolution inside the computer world of The Grid. His mission is to free his home and friends from the reign of the villainous Clu 2 and his henchman General Tesler. Beck will be trained by Tron - the greatest warrior the Grid has ever known. Tron will not only teach Beck the fighting skills he needs to challenge this brutal military occupation, but will be a guide and mentor to him as he grows beyond his youthful, impulsive nature into a courageous, powerful leader. Destined to become the new protector of the system, Beck adopts Tron's persona and becomes the archenemy of Tesler and his oppressive forces.